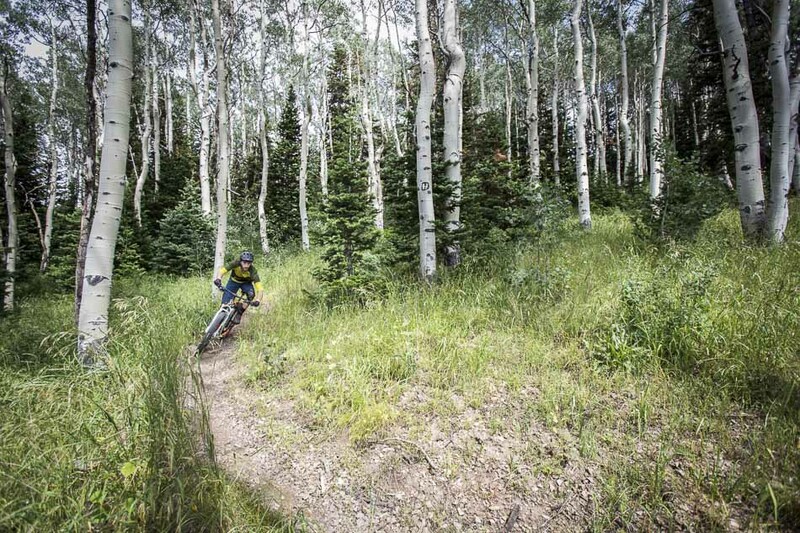 After spending a day aboard Scott’s new Genius LT Plus at Deer Valley Resort’s bike park in Park City, Utah, I decided the next day to head out on the brand’s new plus-size hardtail, the Scale Plus. 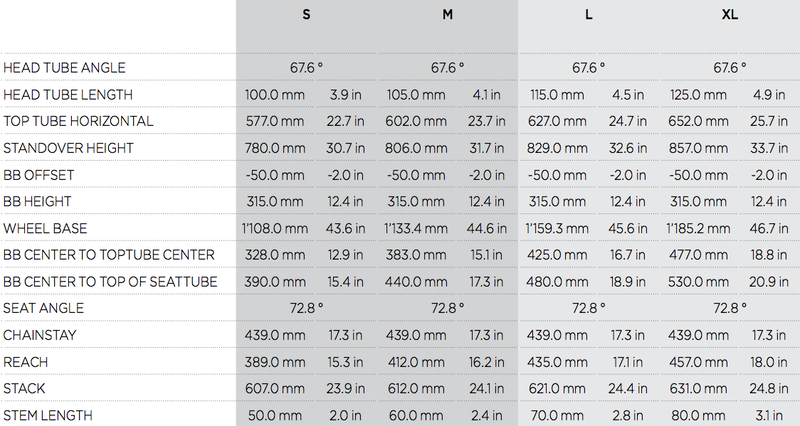 I didn’t find myself enamored with the plus-size ride of the Genius LT, so I was curious to see how I got on with the Scale. This is no cross-country race bike. The Scale’s 67.6-degree head angle and 2.8″ tires had me feeling immediately confident, but I had a bit of climbing to do before I got to the goods. It was no surprise that the Scale didn’t climb with the alacrity of a carbon XC rocket, but it wasn’t a pig, either. 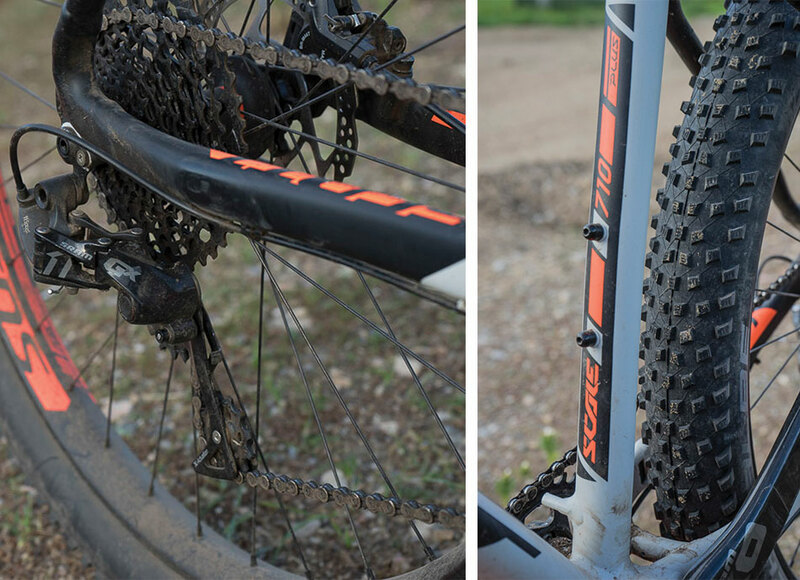 Schwalbe’s 2.8″ Rocket Ron tires offered plenty of traction and gave the bike a bit of both the technical climbing capabilities and the reduced flat-ground efficiency of a full-suspension trail bike. Riding photo by David Meadows. This is where the Scale 710 Plus really came alive. 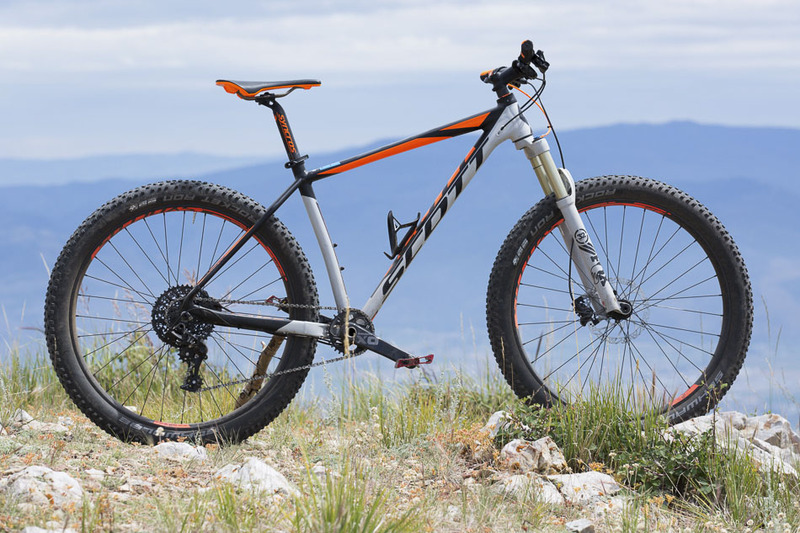 Without any rear suspension, the vagueness I experienced aboard Scott’s Genius LT Plus was diminished, and I found myself sensing and responding to how the tires were interacting with the trail the way I would on a non-plus bike. The Scale Plus is much more responsive than it’s full-suspension siblings; it zigged when I zigged and zagged when I zagged, feeling really pretty much like a well-designed and capable mountain bike. I was well centered on the bike with the stock 70-mil stem and 740-millimeter-wide bars, and at 6’1 was able to move around comfortably on the size large I tested. The 67.6-degree head angle is slack for a bike with such large-diameter wheels, but it felt spot-on to me when descending and wasn’t a handful going uphill. This is the kind of hardtail feels like you can push your weight into, even over choppy ground that you might tiptoe through on an XC hardtail or even a lightweight full-suspension rig. It’s a controllable blunt-force weapon ready to smash and bash through mildly technical trails without completely muting the feedback that, for me, makes riding a hardtail fun. The rear end is a bit shorter than on Scott’s full-suspension rigs, but with 439-mil chainstays it’s also far from the most compact out there. I don’t think the longish stays are necessarily a bad thing; the bike isn’t as nimble as a hardtail with a 420-mil rear end, but it was comparatively more stable at speed and didn’t get bounced around as much over rocks and roots. Of course, that has to be partially chalked up to the compliance of the plus-size tires. At $2,600, this is one of the more-expensive production aluminum hardtails available. That’s a hefty price tag, especially when you can get a decent full-suspension rig for around the same price. The SRAM GX 1×11 drivetrain–which performed flawlessly–is a nice touch, but I’d like to also see a dropper post on a hardtail at this pricepoint, even in exchange for a wide-range 10-speed drivetrain instead of the 11-speed GX. This is minor and personal, but the stock grips are very large in diameter, and gave me arm pump almost immediately; I swapped them out for some narrower ones which felt much better. The Scale I tested was set up with carbon X01 cranks, but the stock build will come with an aluminum GX crank. I didn’t feel the need to weigh the bike, which is to say that it didn’t feel abnormally heavy nor especially light. Scott claims weights around 26 pounds for a size medium Scale 710 Plus. Run with 14 PSI in the rear and 13 PSI up front, the Schwalbe Rocket Ron tires offered a good balance of rolling efficiency and grip, but I didn’t get enough time in on them to suss out how long they’d hold up. As usual, I didn’t touch the bar-mounted fork lockout. I expected to feel some noodling from the Fox 32 fork up front, but I didn’t. It’s possible that the wider bracing angle allowed by the 110-millimeter front-hub spacing created enough stiffness that the flex in the fork’s 32-mil stanchions wasn’t as noticeable as it often is. I finished every lap on the Scale with a grin on my face and an eagerness to hop back in the lift line for a refill. 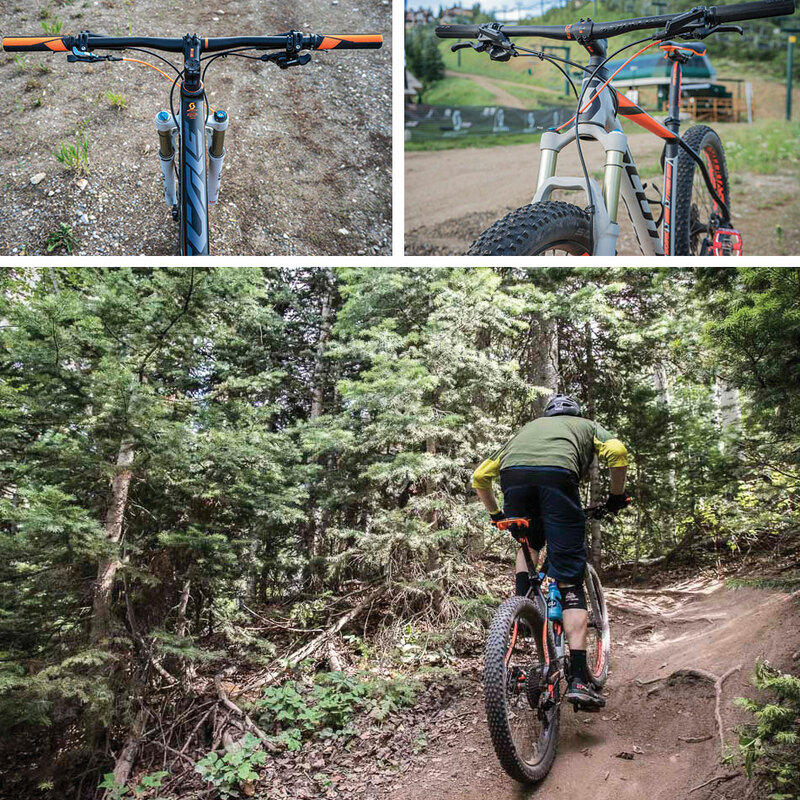 The combination of the plus-size tires and the dialed geometry make the Scale extremely capable and versatile, but its price point may scare off a good segment of potential hardtail buyers. That being said, Scott will also offer the down-specced Scale 720 Plus for $1,700, which will come with a 2×10 XT/Deore drivetrain and an air-sprung Suntour Raidon fork. 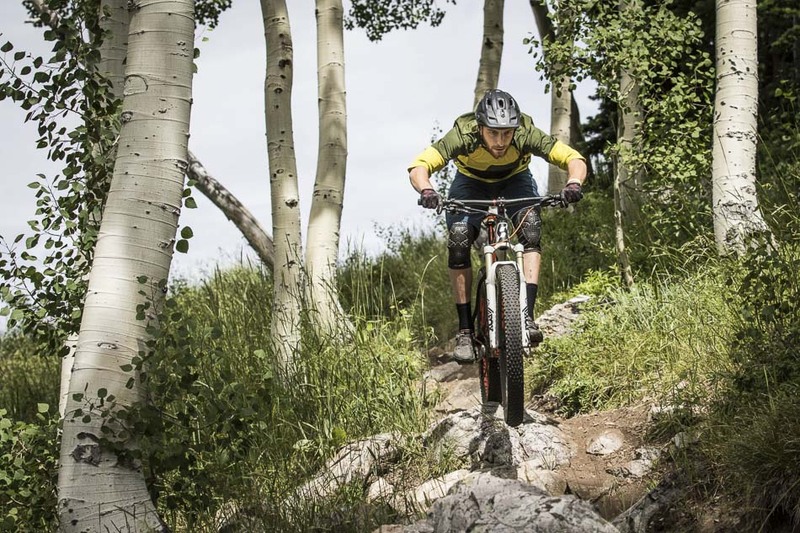 Probably the most exciting idea that came from all this, though, is the potential for plus-size wheels to make their way into even lower price points, making entry-level bikes more trail-ready than ever.